steel cut oats | drive-thrus are for lazy people. Back in high school, I skipped breakfast and maybe stuck with an apple or a bagel. In University, it was a bowl of fruit or maybe Vector Cereal and greek yogurt. Green Smoothie! My new favourite! My recipe usually includes; KALE, banana, frozen or fresh fruit, almond milk, chia seeds, and any other veggie I have laying around. THIS recipe is also another good one to try! My problem is that I never have all of these ingredients, grr! On-the-go. 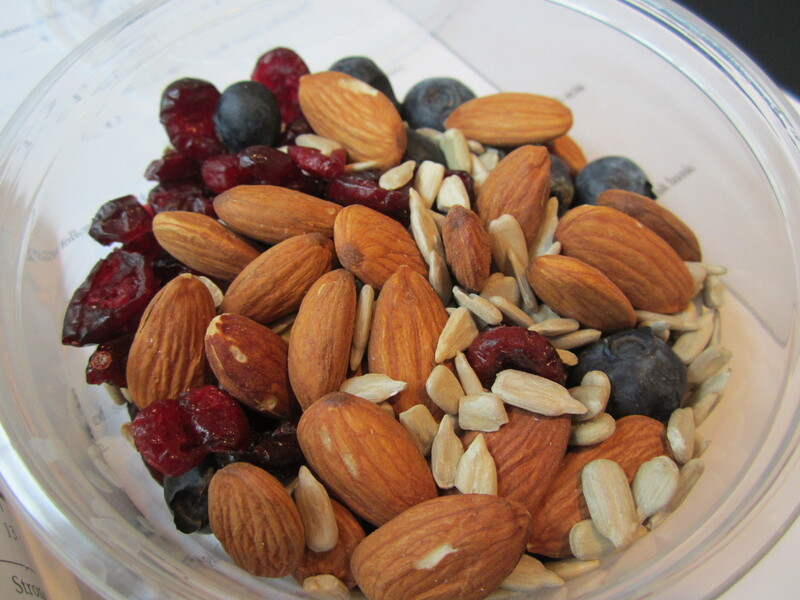 Bowl of mixed nuts and berries. There are still times when I accidentally skip breakfast or have a below-average meal, but I make a conscious effort to include something extra nutritious into my mornings. 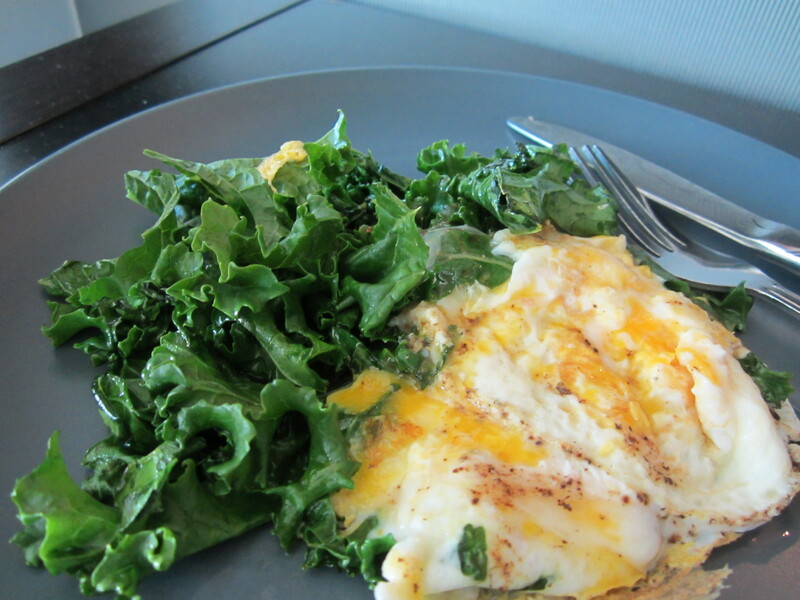 Maybe it’s time to give your breakfast a makeover? Categories: current trends in health + wellness., holistic recipes. 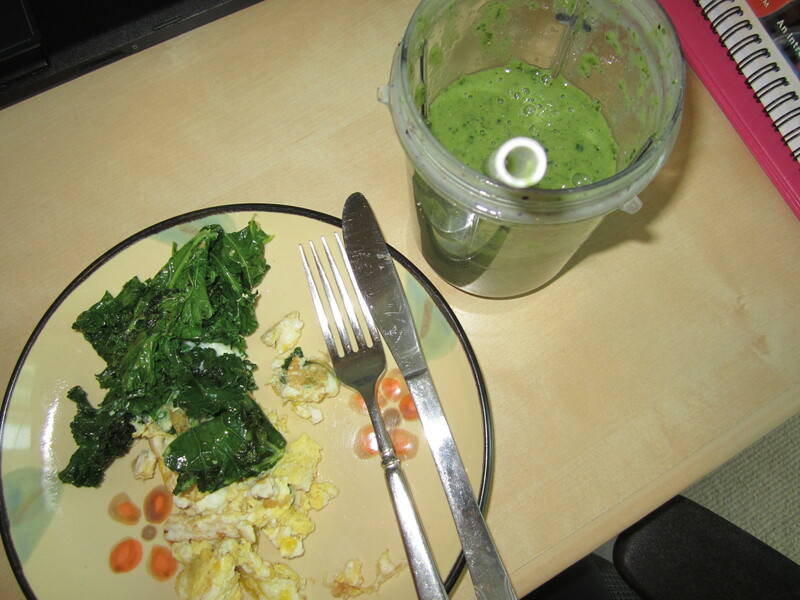 | Tags: breakfast, Green Smoothie, Holistic Nutrition, steel cut oats, Superfood | Permalink. This weather is so GLOOMY! As depressing as it is getting up early and biking in the dark, I know that getting an early start to the day always makes me feel good. Especially when I finally arrive back home and can look forward to a hot shower and a good breakfast and coffee. Steel cut oats, banana, almond milk, blueberries, pumpkin pie spice. This normally fills me up for HOURS. 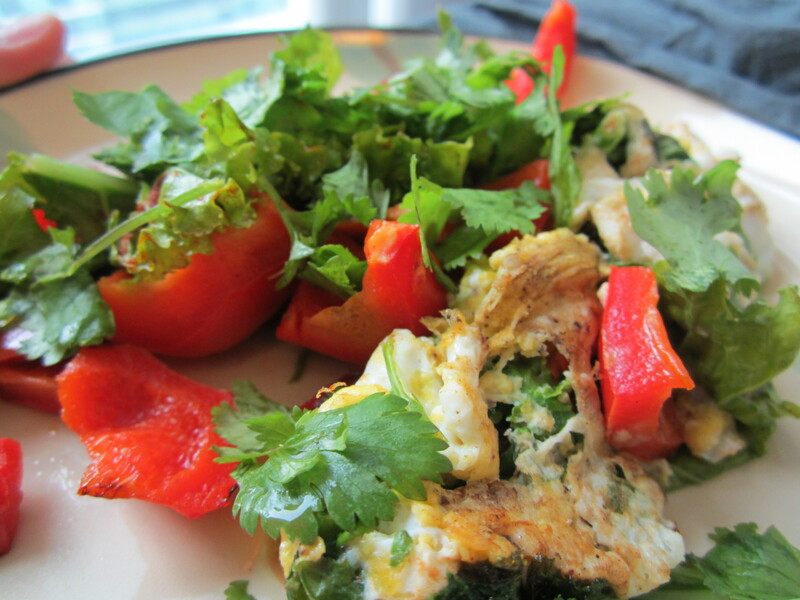 It can be made the night before too and kept a few days in the fridge – genius! The pumpkin pie spice has become a staple in my diet – it’s a combo of cinnamon, cloves, nutmeg and a couple other things. Definitely worth buying, who said this could only be used at Thanksgiving anyways!!? Not so picturesque I guess, but it’s tasty! Banana, apple, almonds (protein and essential fatty acids), pumpkin puree (get some veggies into my day since they are your most important food group and most of us don’t get enough), pumpkin pie spice, chia seeds (omega 3’s), almond butter. Some call it slop, I call it delicious! As for my workout plan... I’ve stuck to it so far! Last night I did my ab workout, and today I did spin – so far so good ! This one is old, but every time I put it in a fitness class/spin routine – people always love it! Another song someone mentioned I should listen to, so I did when I got home today. I had heard it before, it’s strangely catchy! Your digestive functioning can be improved by treating your body well and eating a natural, alive and good quality diet….. simple, right ? Categories: holistic recipes. 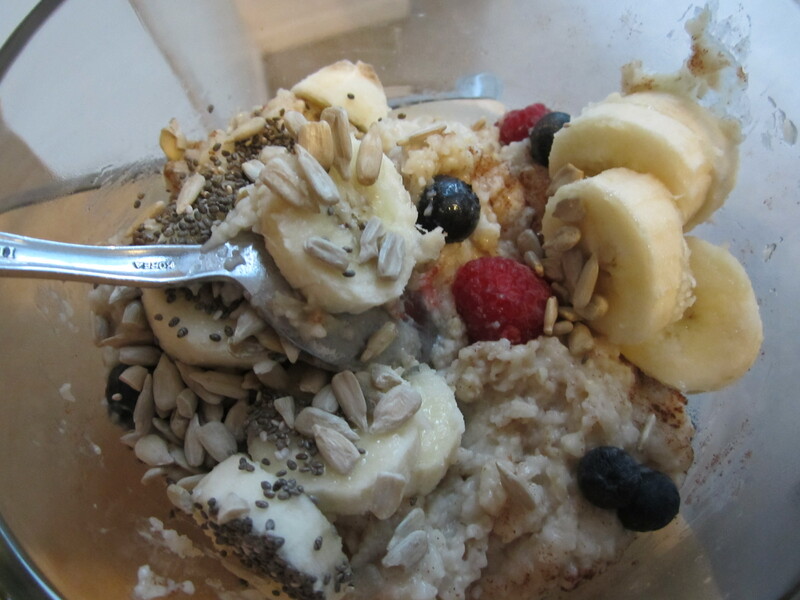 | Tags: breakfast, chia seeds, food, health, pumpkin pie spice, steel cut oats | Permalink.